This home on the Lakes Golf Course features a 2018 kitchen w/ granite counter-tops & new appliances. Living room has beautiful stone fire place which overlooks the expansive deck, golf course, & lake. You will appreciate the spacious main floor en-suite master w/beautiful views, walk- in closet, & professionally tiled bathroom/steam shower. Second floor has 2 bedrooms & bath, a bonus room for extra living & storage space, a generous loft office space, plenty of room for your family & guests. Lower level features wet bar & family room. There is a generous 4-season room & delightful landscaping. Pride of ownership is evident! Featured in the 2016 Garden Walk. Attached 3 car garage w/ detached 4th garage. New roof in Aug. 2017. Lake/golf course a supreme setting for this outstanding home. 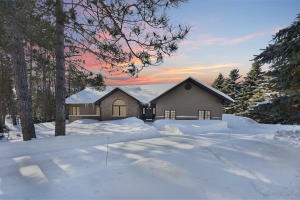 Executive home on the 17th fairway of Michaywe Pines Golf Course. 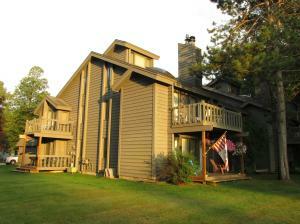 Enjoy family & friends in this 4 Bedroom, 3 bath home. Custom maple kitchen w/ granite counter tops, dining room, large Great Room w/ vaulted ceilings, natural fireplace and hardwood floors. Main floor master suite, w/ walk-in closet & full bath. The Study/Office has french doors, high-speed internet. Main floor laundry and mud room with 2+ stall attached garage. 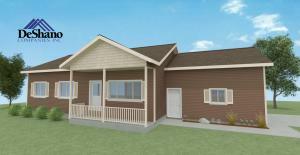 The lower level provides a family room, potentially a 5th bedroom with egress window, plus storage/mechanical room. Enjoy the fairway views from the large deck. The package is completed w/ beautiful yard & professional landscaping supported by irrigation system; oversized lot, natural gas forced air heat along w/ central air, & paved driveway. Here's your chance to customize this quality home. Don't miss out on the $3000 flooring allowance and a $5,000 painting allowance.Check out this amazing two story home with gorgeous views of Michaywe lake and the 13th tee box on The Lakes course. 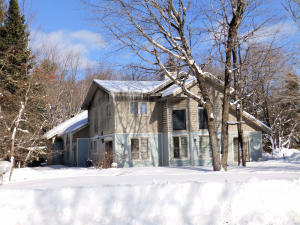 Large front windows provide lots of light and a clear view of sunsets over the lake. From here it's a short walk to the restaurant, club house and pool. Granite counter tops, stainless steal appliances provide a modern feel to the warm open concept. Master suite with a jetted tub complete the ground floor. Lots of room upstairs for the family or company. Not only is there an attached two car garage but there is an additional bay to accommodate storage of an RV, boat or other implements. A rare find in Michaywe. GOLF FRONT CONDO OVERLOOKING #10 ON THE MICHAYWE PINES GOLF COURSE- with two separate lock outs. 3 Bedrooms/4 BathroomsFeaturing an open floor plan, gas fireplace, 3 decks, large living area with loft which offers sitting room and bedroom/bath.You really need to tour this condo & set up a showing! 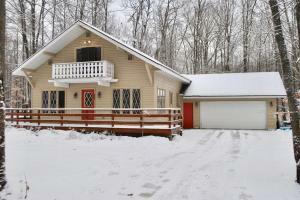 Charming 3 BR, 2 Bath home nestled in Michaywe on two nicely wooded lots! Move-in ready with newer stainless appliances. Freshly painted and new main floor carpeting, too! Enjoy the wood burning stone fireplace, main natural gas forced air heating system w/supplemental electric heat, and spacious 2 car attached garage. 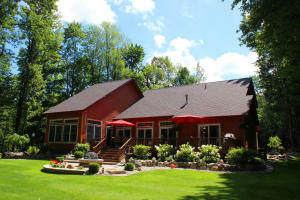 You'll love Michaywe's amenities including championship golf, fine dining, indoor and outdoor swimming pools, groomed cross country ski and snowshoe trails. Just a couple of minutes from the new Iron Belle recreational trial, too!